Recursive descent parsing to an abstract syntax tree. Static compilation to a stack based assembly language. 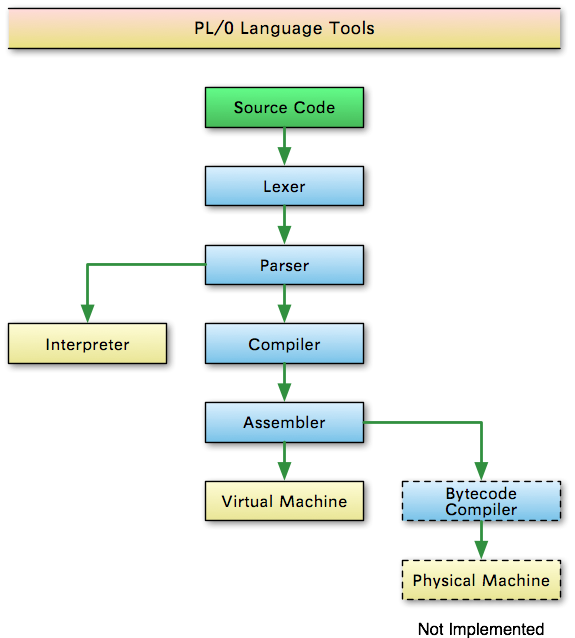 Assembly from symbolic assembly language to virtual op-codes. Virtual machine execution using a stack-based computer. Each major function is a separate Python program typically between 100-300 lines of code. PL/0 Language Tools, a fork with basic support for FORTH. This project was developed by Samuel Williams, with support from Tadao Takaoka and the University of Canterbury Summer Scholarship program (2010/2011).